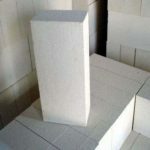 High alumina phosphate bonded fire brick is a kind of refractory product mainly used in cement rotary kiln. 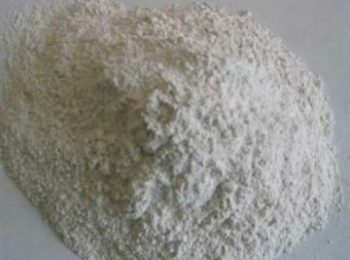 High alumina phosphate bonded bricks are made from bauxite, bonded by phosphate solution. 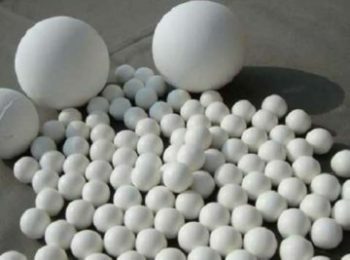 This kind of product appears to have: high refractory performance, strong thermal shock resistant ability, high RUL capacity, chemical stability and high compressive strength. 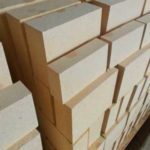 Rongsheng kiln refractory has high quality phosphate bonded alumina brick for sale at a low price, we have a full range of phosphate bonded high alumina bricks in various shapes and sizes available on request. If you have any intentions, please leave your message in the chart below, we will be in contact soon! 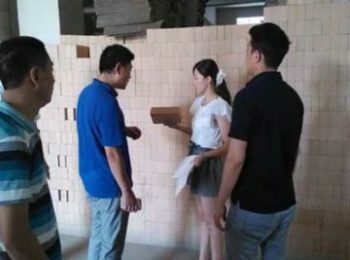 Phosphate bonded high alumina bricks for cement rotary kiln linings are made from bauxite, phosphate solution (potency 42.5 ~ 50%)or Aluminium phosphate solution as binder as bonders. The material is machined and heated to 500℃ to finish the production process. 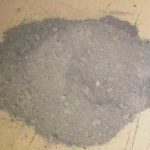 Type P(­P-80) are usually used in cement rotary kiln or carcining zone, transition zone, cooling zone, cooler and cement shaft kiln. Type PA(P-77/P-86) bricks are usually applied in opening part of rotary kiln, rear of rotary kiln, cooling zone, cooling machine and cement shaft kiln. 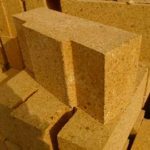 Phosphate brick (type code: P)，short for phosphate bonded high alumina brick, are applicable for firing zone of cement rotary kiln, transition zone, cooling zone and high temperature zone of cement vertical kiln. 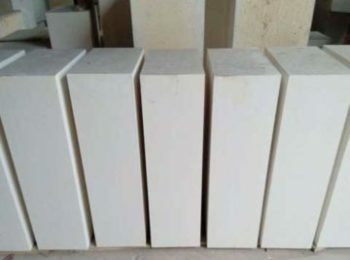 Abrasion-resistant brick (type code: PA), short for phosphate bonded abrasion-resistant high alumina brick are applicable for Cement rotary cooler, cooling zone and high temperature zone of cement vertical kiln. Have concave grooves or holes (except mark). 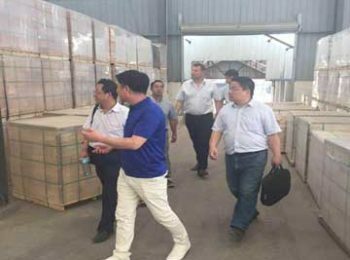 The main raw material of phosphate bonded high alumina brick are superfine or class I high alumina bauxite. After machined through semi-dry method and heated at 400-600℃, it become a chemical bonded refractory brick, which belongs to the unburned category. 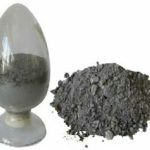 In order to avoid shrinkage in the process of using, the heating expansion material such as Kyanite and silica are usually needed in the ingredients. 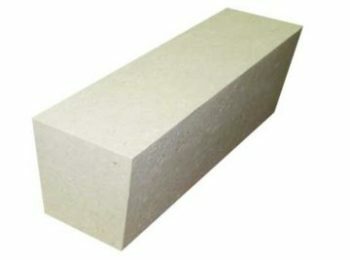 Compared with ceramic bonded burned high alumina brick, this kind of brick has a better performance in anti-stripping, but a lower RUL capacity and abrasion resistance. 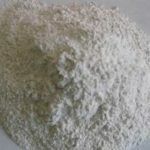 So, normally fused corundum, mullite would be added into the raw material to enhance the strength of the bulk material. 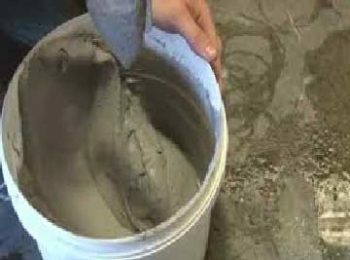 Tip: in an experiment, an ordinary high alumina brick is put into phosphate solution. After taken out and dried, its RUL temperature grows. the apparent porosity of the treated brick sharply decreases, bulk density and rupture strength sharply grows. So this experiment shows us, soak high alumina brick into phosphate solution can improve its quality and extend its service life. 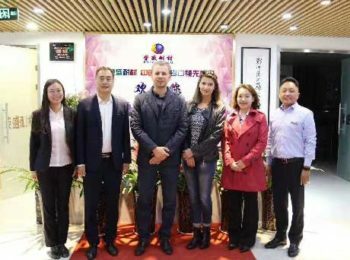 Phosphate bonded abrasion resistant high alumina brick acquires special technique and chemical additives on the basis of phosphate bonded high alumina brick. Its abrasion-resistant ability is largely improved compare to the original one. The high temperature performance and thermal shock resistant ability is also better than phosphate brick. 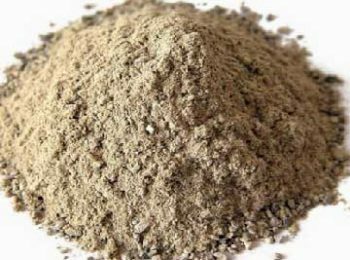 It has a good cold-crushing strength, fine thermal stability, chemical stability, and low apparent porosity. 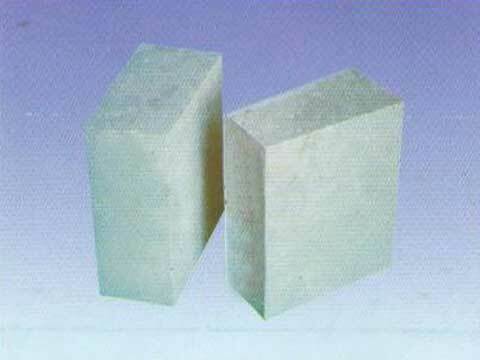 Phosphate bonded high alumina brick, (phosphate brick for short, type code: P), is bonded with 42.5%~50% phosphate solution. 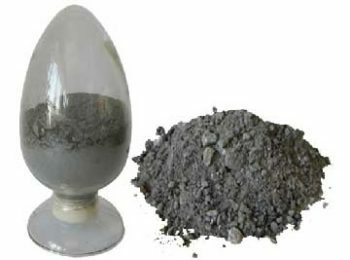 The aggregate is made of Calcined Bauxite at a temperature of more than 1600 ℃.while using, phosphoric acid and bauxite powder on the surface of the brick react with sagger to form a bonding agent based on cristobalite aluminium phosphate. 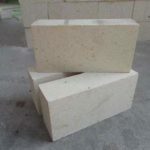 Phosphate bonded abrasion-resistant high alumina brick, (phosphate abrasion-resistant brick for short, type code: PA), uses Aluminum phosphate solution as binder, which is made of industrial phosphoric acid and industrial aluminium hydroxide. Its molar ratio is Al2O3:P2O5=1:3.2. The aggregate of abrasion-resistant bricks is the same as the phosphate brick. 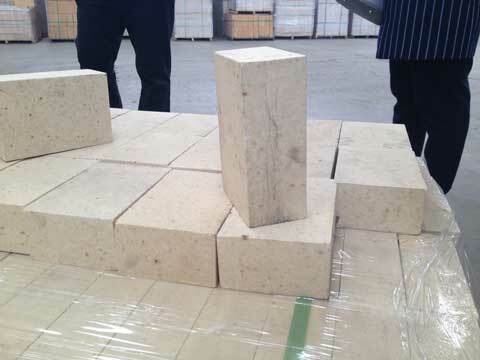 Same as phosphate brick, while using, phosphoric acid and bauxite powder on the surface of the abrasion resistant brick also react with sagger to form a bonding agent based on cristobalite aluminium phosphate. 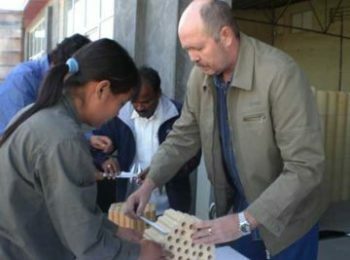 The two kinds of bricks, using the same aggregate and bonder, pressed, molded, and heated up to about 500℃, but shows the unique performance due to the different manufacturing process. 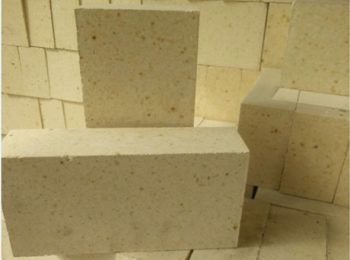 For example, in the aggregate particle composition of phosphate bricks, a considerable amount of 5 ~ 10mm of alumina is adopted so the apparent porosity of brick is larger. 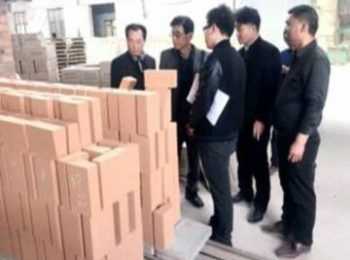 After treated at the same temperature, the modulus of elasticity of the brick is much lower than that of the wear-resistant brick, and the thermal shock resistance is good. 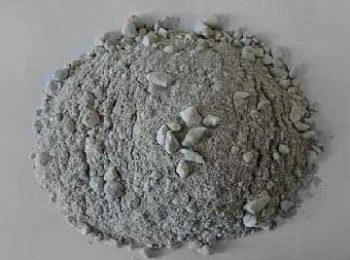 On the other hand, the alumina aggregate particles used in the abrasion-resisting brick are less than 5mm, the aluminum phosphate solution is used as the forming agent directly, and the suppressing in the molding process is harder. Therefore, it shows higher strength and wear resistance, but the thermal shock stability is relatively lower. 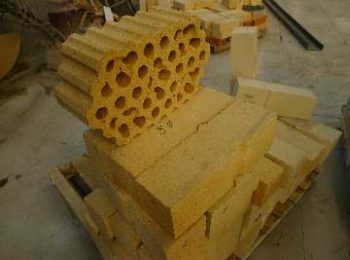 Therefore, the phosphate brick is suitable for the transition zone and cooling zone of the rotary kiln. 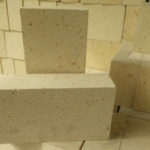 Abrasion resistant brick is mainly used for kiln mouth and cooling machine. 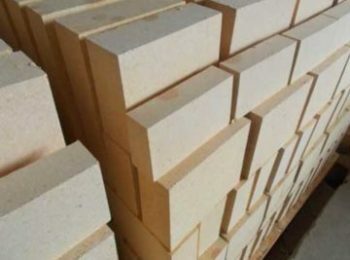 Rongsheng kiln refractory has high quality phosphate bonded alumina brick for sale at a low price, we have a full range of phosphate bonded high alumina bricks in various shapes and sizes available on request. Typical Chemical Analysis: Al2O3 85% Min.